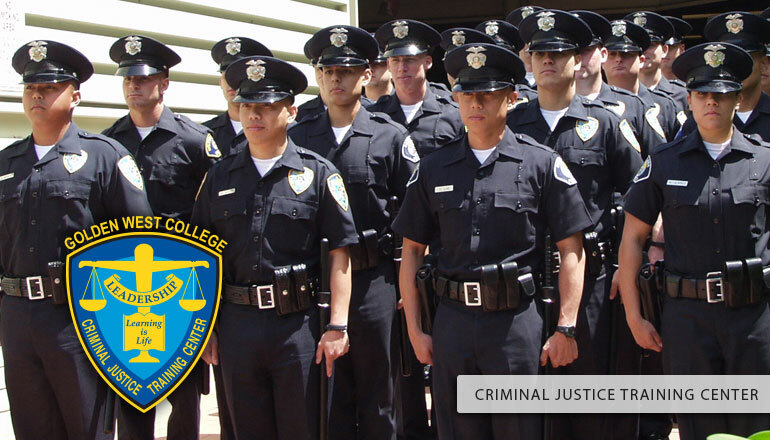 This course is designed to familiarize the student with the police academy training program and may be taken 4 times. Credit/no credit only. Not transferable, AA/AS degree only. Step I – Complete and submit the Academy Interest Form. Step II – You will receive an email with information including orientation dates and instructions for registration. 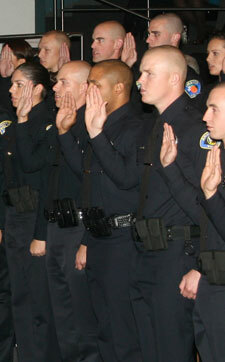 Academy enrollment will be based on the successful completion of CJ-054. Step III – Complete CJ-054, the Police Academy Orientation Course, which will begin 7 to 8 weeks prior to the start of the police academy. Step IV – Based upon successful completion of CJ-054, registration information for the Basic Police Academy (CJ G064) will be provided. Step V – Purchase your uniforms and equipment as specified. Step VI – Attend the First Day Orientation/ Family Support Meeting as scheduled. Agility Run: Course consists of sprinting 99 yards, which includes five (5) turns of varying degrees, three (3) curb-high obstacles, and one (1) 34″ high barricade that must be vaulted by placing both hands on it while going over it. Solid Fence Climb: Run five (5) yards to 6′ solid fence, climb over and sprint another 25 yards to finish. Body Drag: Lift and drag a 165-pound life-like dummy a distance of 32′ backward. 500 Yard Run: Run 500 yards, a distance that is equivalent to one (1) lap plus a additional 60 yards of a standard running track. The above-described events are timed. Points are given based on the time performed by each candidate on each event. A total score of 384 points is required to pass the P.O.S.T. Test. Events that earn the most points are the Agility Run and the Solid Fence Climb. Candidates are given two (2) attempts on each event if desired and the best of the two scores is used. NOTE: If you are testing with an agency, their test may be different. They may or may not utilize the agility course at Golden West College as part of their testing process. Please check with your recruiter or personnel officer for specific information.